Direct Fusion Drive is a a revolutionary direct-drive, fusion-powered rocket engine. Compact and clean-burning, the Direct Fusion Drive (DFD) can generate controllable power from 1-10 MW with high thrust and high specfic power. Learn more about our research from our blog posts! Direct Fusion Drive Rocket for Asteroid Deflection [PDF], J. Mueller, Y. Razin, S. Cohen, A. Glasser, et al, 33rd International Electric Propulsion Conference. Samuel Cohen, inventor of the Princeton Field Reversed Configuration reactor that is the core of our engine, co-authored a paper on comet deflection. We are currently supported by a DOE grant, two NASA STTRs and a NASA Phase II NIAC grant! For more information go to our nuclear fusion page. Dr. Sam Cohen and I had a good time at the Foundations of Interstellar Studies Workshop this week in NY! 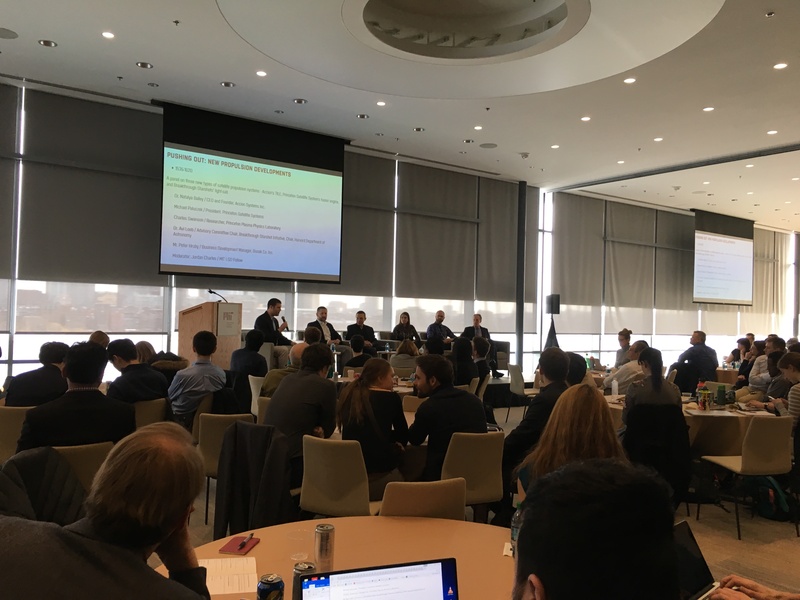 While we were only able to stay for the first day on “Energetic Reaction Engines”, there were many thoughtful discussions on applying fusion technology to interstellar travel. Here I am in the group photo from the welcome event Monday night, held at the Harvard Club with an interesting and wide-ranging display of interstellar art! (I’m in the first row on the far right). The workshop was almost a mini-NIAC reunion, as NIAC fellows Phil Lubin and Ray Sedwick were there, and Heidi Fern was due to present her Mach Effect thruster on Thursday. Also NIAC External Council member Lou Friedman of the Planetary Society was in attendance (very back of the photo). Our presentation for this conference focused on how the PFRC addresses the key parameters needed for a “net positive” fusion reactor: energy confinement, current drive, plasma heating, and plasma stability. We are often asked “why fusion will work this time”, and this paper does a good job of explaining why the PFRC is different enough from other approaches to work! The workshop is going to submit all of the papers to the Journal of the British Interplanetary Society, which is the oldest astronautical journal in the world (1934). We also discussed the parameters the propulsion system will need to achieve to reach Alpha Centauri in various time scales, as well as a more near-term mission deliver a gravitational lens telescope to 550 AU. Reaching Alpha Centauri in anything close to a human lifetime remains a significant challenge, but PFRC could be part of an architecture to reach the star in 300 to 500 years, and slow down enough to go into orbit around the potentially Earth-like planets there! The 550 AU telescope mission, however, could be achieved in as little as 12 years with just one small PFRC and is an exciting new mission possibility. Our next interstellar appearance will be at the Tennessee Valley Interstellar Workshop in October in Huntsville, AL! High temperature superconducting coils for a future fusion reaction space engine. These coils are needed for the magnetic field that allows the engine to operate safely. Nuclear fusion reactions are what power our sun and other stars, and an engine based on this technology would revolutionize space flight. These Phase I STTRs of $125,000 each will run for one year, at which point we have the opportunity to propose Phase II work up to $750,000. If successful, they will go a long way towards demonstrating critical subsystem technology needed for DFD and other high-tech space propulsion technologies! A key feature of the NIAC program is making the project results available to the public. In that spirit, we are making our complete Phase I final report, “Fusion-Enabled Pluto Orbiter and Lander”, available on our website! The Pluto orbiter mission proposed here is credible and exciting. The benefits to this and all outer-planet and interstellar-probe missions are difficult to overstate. The enabling technology, Direct Fusion Drive, is a unique fusion engine concept based on the Princeton Field-Reversed Configuration (PFRC) fusion reactor under development at the Princeton Plasma Physics Laboratory. The truly game-changing levels of thrust and power in a modestly sized package could integrate with our current launch infrastructure while radically expanding the science capability of these missions. During this Phase I effort, we made great strides in modeling the engine efficiency, thrust, and specific impulse and analyzing feasible trajectories. Based on 2D fluid modeling of the fusion reactor’s outer stratum, its scrape-off-layer (SOL), we estimate achieving 2.5 to 5 N of thrust for each megawatt of fusion power, reaching a specific impulse, Isp, of about 10,000 s. Supporting this model are particle-in-cell calculations of energy transfer from the fusion products to the SOL electrons. Subsequently, this energy is transferred to the ions as they expand through the magnetic nozzle and beyond. Our point solution for the Pluto mission now delivers 1000 kg of payload to Pluto orbit in 3.75 years using 7.5 N constant thrust. This could potentially be achieved with a single engine. The departure spiral from Earth orbit and insertion spiral to Pluto orbit require only a small portion of the total delta-V. Departing from low Earth orbit reduces mission cost while increasing available mission mass. The payload includes a lander, which utilizes a standard green propellant engine for the landing sequence. The lander has about 4 square meters of solar panels mounted on a gimbal that allows it to track the orbiter, which beams 30 to 50 kW of power using a 1080 nm laser. Optical communication provides dramatically high data rates back to Earth. Our mass modeling investigations revealed that if current high-temperature superconductors are utilized at liquid nitrogen temperatures, they drive the mass of the engine, partly because of the shielding required to maintain their critical temperature. Second generation materials are thinner but the superconductor is a very thin layer deposited on a substrate with additional layers of metallic classing. Tremendous research is being performed on a variety of these superconducting materials, and new irradiation data is now available. This raises the possibility of operating near- future “high-temperature” superconductors at a moderately low temperature to dramatically reduce the amount of shielding required. At the same time, a first-generation space engine may require low-temperature superconductors, which are higher TRL and have been designed for space coils before (AMS-02 experiment for the ISS). We performed detailed analysis of the startup system and thermal conversion system components. The ideal working fluid was determined to be a blend of Helium and Xenon. No significant problems were identified with these subsystems. For the RF system, we conceived of a new, more efficient design using state-of-the-art switch amplifiers, which have the potential for 100% efficiency. This report presents details of our engine and trajectory analyses, mass modeling efforts, and updated vehicle designs. Our paper “Direct Fusion Drive for Interstellar Exploration” has been accepted for the Workshop of Interstellar Flight that will be held at CUNY City Tech, 13-15 June 2017! The workshop is organized by the Institute for Interstellar Studies and City Tech’s Physics Department and Center for Theoretical Physics. A mission to go into orbit about a planet orbiting either Alpha-Centauri A or Alpha-Centauri B.
NASA NIAC Phase II selected! We received notice today, March 31, 2017, that our NASA NIAC Phase II proposal was selected for award! We will be able to continue working on the Direct Fusion Drive with PPPL for two more years. Hooray! Dr. Joseph Minervini of MIT will be joining our team to help advance our understanding of the trade space for the superconducting coils, using the very latest data from high-temp superconductor manufacturers. It’s going to be exciting research! Here’s a link to NASA’s official project summary. 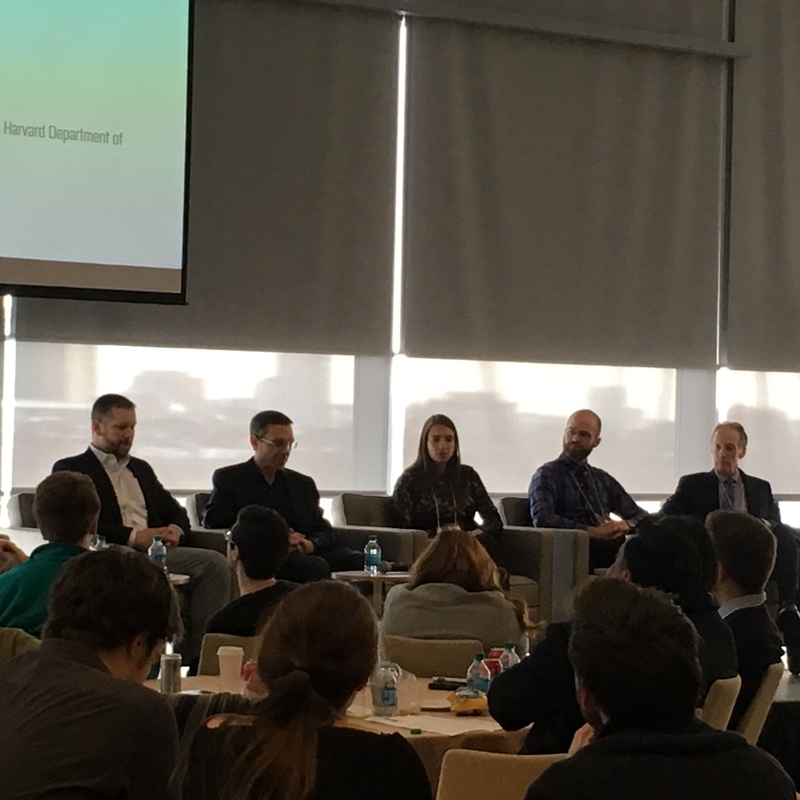 Charles Swanson of PPPL and Mike Paluszek of Princeton Satellite Systems attended the MIT New Space Age Conference at MIT on March 11. 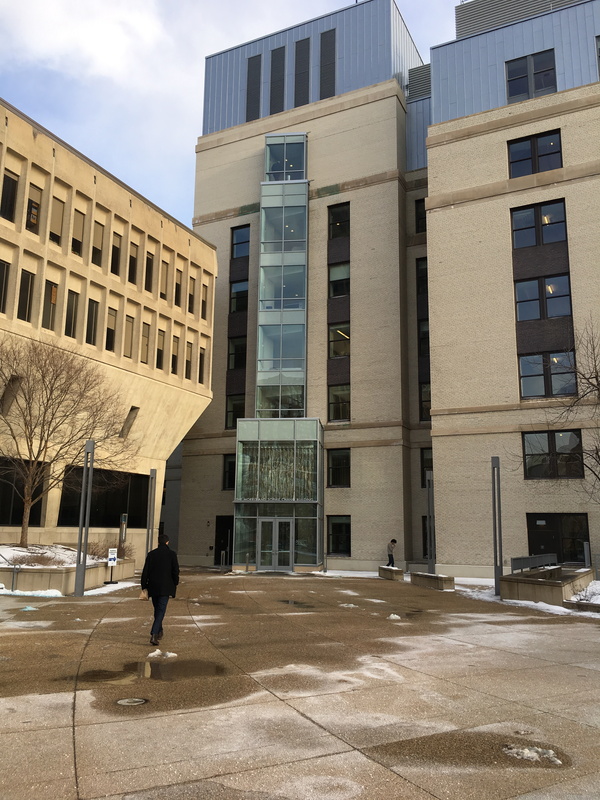 It was held on the 7th floor of building E52 at MIT. 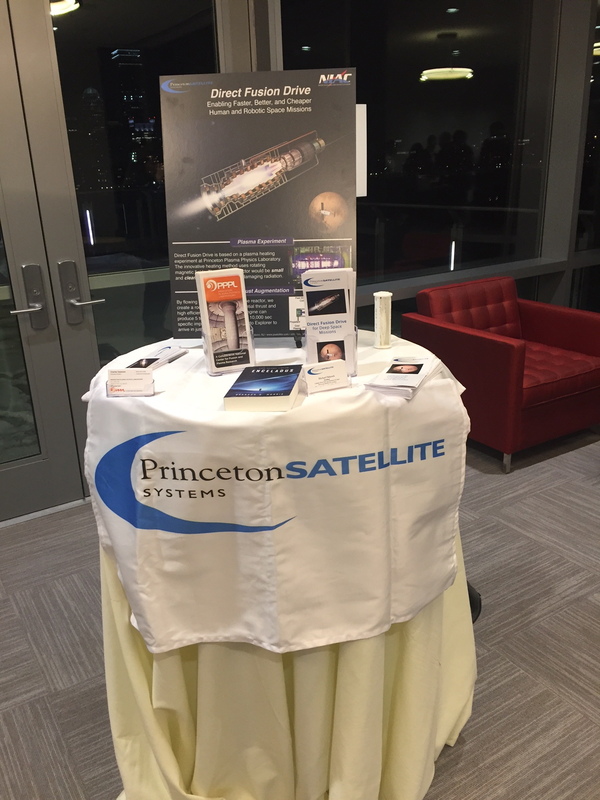 Princeton Satellite Systems was a sponsor of the event. It was a great event! There were a number of interesting presentations including one on the history of the Iridium Program. Iridium was almost ready to deorbit the constellation when an investor cobbled together enough money to keep it flying and then found a new market in places without any cell phone service. They are now launching Iridium-Next. After the disappearance of the Malaysian Flight 370, the airlines realized that they need to know the position of all planes in real-time. Iridium offered a hosted payload to do that and that payload is effectively funding the new satellites. The speaker showed us a image from their satellite showing the tracks of aircraft. Professor Loeb gave an overview of the Starshot project to accelerate small sails to 20% of the speed of light. He discussed some of the challenges of the program. The speed was selected specifically so that the probes would reach Alpha-Centauri during the lifespan of the investigators. Boeing gave a talk on composite structures. The speaker, Dr. Naveed Hussain, VP of Aeromechanics Technology, The Boeing Company, showed how established companies are innovating. Spaceflight gave a talk on their launch services. We plan to work with them to launch our test satellites. At lunch Charles and I sat with a group of students from Mechanical and Aerospace Engineering Department at Princeton University. We were joined by Mark Jernigan, Associate Director, NASA/JSC Human Health and Performance Directorate. We talked with him about the challenges of human spaceflight to Mars. Charles and I were on the propulsion panel. Charles gave a spectacular overview of the plasma physics of our nuclear fusion engine. I filled in the DFD system details. We had a few questions from the audience. Our 2017 extern, Eric Hinterman, gave a great talk on the oxygen from carbon dioxide project that will be tested on Mars. It would produce the oxidizer for return missions thus saving money. My wife, Marilyn, took pictures of the panel. At the reception we were the only sponsor with a table display. It was a great event! We look forward to attending next year!